You would think the most expensive guns are made of the rarest metal on earth, but you’re dead wrong. In fact, the material is literally out of this world. 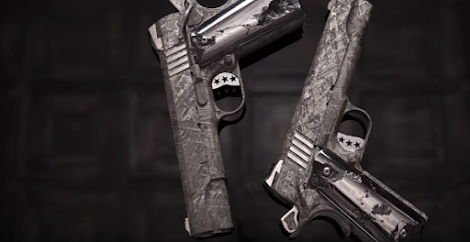 Firearm manufacturer Cabot Guns has built the most expensive set of handguns that are both made of a meteorite that is billions of years old. 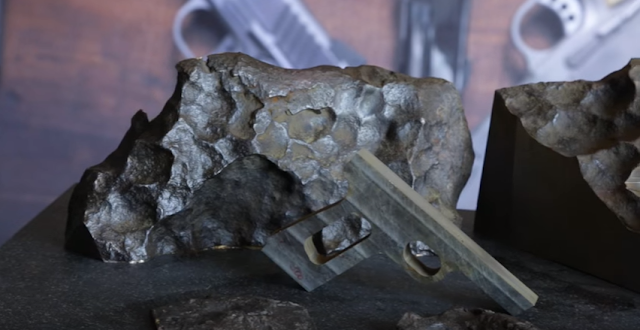 The meteorite fell in Namibia thousands of years ago and the company has turned a chunk of it into a set of pistols named ‘The Big Bang,’ selling it for a world-record $4.5 million.